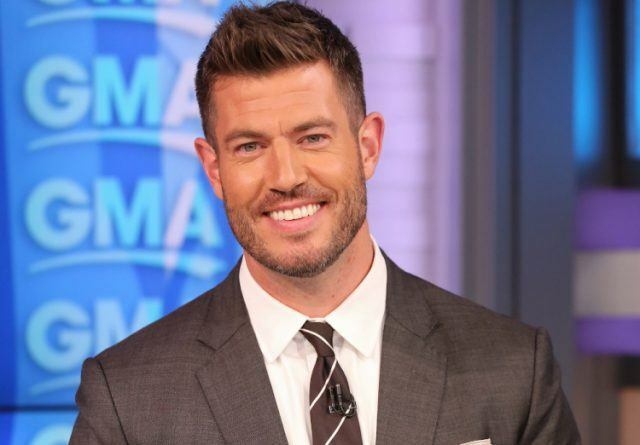 Jesse Palmer is a Canadian sports commentator and a former quarterback who played for the New York Giants of the National Football League, as well as, the Montreal Alouettes of the Canadian Football League. He was drafted by the New York Giants as the 125th overall pick in the fourth round of 2001 NFL draft. He was the first athlete to star on the ABC’s television program titled The Bachelor. Jesse James Palmer was born in Toronto, Ontario on October 5, 1978. He grew up in Nepean, Ontario in Canada where he attended St. Pius X High School. His father Bill Palmer is a former player of Ottawa Rough Riders while his mother is a prominent fashion model and the former owner of the modelling agency called International Top Model. Jesse played all of his amateur football with the Myers Riders Football Club in the Ontario Minor Football Association. Upon graduation from high school, he enrolled at the University of Florida where he continued his college career with Florida Gators Football team. His collegiate teammates were Doug Johnson and Rex Grossman. He captained the team in his senior year and for his outstanding leadership abilities, he was honored with the Gators Ferguson Award. He finished his collegiate career recording 3,755 passing yards. In addition to that, he also got a degree in Political Science and another degree in Marketing from the College of Business Administration. Jesse Palmer was picked by the New York Giants in the 4th round of the NFL draft of 2001. He was the second Canadian to play at the quarterback position in the National Football League. He completed three seasons with the Giants before he left for the San Francisco 49ers in 2004. The star was signed by the 49ers to serve as a replacement for their injured quarterbacks and when they returned he was resigned by the team during the 2006 off-season. Later on, he was signed to play for Montreal Alouettes of the Canadian Football League. Jesse ended his football career at Montreal prior to the 2007 season to pursue a career in broadcast journalism. He announced his retirement from Canadian Football league on May 24, 2007. He joined Fox Sports and became the color commentator in 2005 and the following year, he became an analyst as well as a commentator for the weekend’s NFL draft. In 2007, Jesse joined ESPN as an analyst on College Football Live. Alongside David Pollack, he is a co-host of The Palmer and Pollack Show on ESPN. He also worked as a New York correspondent for eTalk, as well as, ABC telecasts. Asides from his journalism career, Jesse has been featured in different television series. He portrayed the role of Don Lacey who is a professional baseball player in an episode of the American crime drama series titled Law & Order: Special Victims Unit. He appeared on the American dating and relationship TV series titled The Bachelor. His other shows include Good Morning America, Spring Baking Championship, and Holiday Baking Championship. Jesse Palmer is currently working as the anchor of DailyMailTV. Jesse Palmer is one among many celebrities whose sexual orientation has been clearly misunderstood. Since the former professional football player keeps his personal life on the low, what more could be expected of his fans? While the popularity of the LGBT community is on the increase; Jesse alongside his fellow quarterback Nick Foles is part of the NFL players who have pledged their support to the community. Jesse stated in an interview with Cyd Ziegler that he doesn’t care if his teammate is gay or not. What matters is your ability to pull a stint in the field of play. After this revelation, Jesse became aligned with the majority of players who are active supporters of the LGBT community. That said, Jesse Palmer is not gay and he has straight sexual orientation. Jesse came from an athletic family; his father Bill Palmer was a former football player for the Ottawa Rough Riders, while his younger brother Billy Palmer also played football professionally. Just like Jesse, Billy also played for the Ottawa Myers Riders before he transferred to Lake Highland Preparatory School in Florida; where he completed his high school career. He was drafted by the British Colombia Lions of the Canadian Football League in 2004 and later on, he played for the Notre Dame Fighting Irish football team. He graduated from Mendoza College of Business where he obtained his bachelor’s degree in marketing and economics. Jesse has an attractive and a wonderful personality. He has won the heart of many ladies with his cute smile and gorgeous physique. He previously appeared on the ABC television series titled The Bachelor. Jesse was the first professional athlete to appear on the show in which eligible bachelors are given the opportunity to make choice of a possible partner from a group of single women. After series of considerations, Palmer chose Jessica Bowlin and the duo appeared to be a near-perfect combination. However, after the show, Jesse didn’t propose to Jessica; their relationship continued for a few months before they went their separate ways. Bowling later got married to Omar Rawi and they both have two children. While Bowlin is enjoying a blissful married life, Palmer, on the other hand, is yet to be married. He was spotted at the Miami beach with a gorgeous Brazilian Model named Emely Fardo in 2017. Currently, Jesse Palmer is still single and doesn’t have a wife yet. We hope he will take the bold step to seal his love with Fardo pretty soon.